-Description: Tashigi has chin length, dark-blue hair that sometimes looks black. She also has dark brown eyes. Tashigi is a bit tan-skinned. Tashigi is tall, slender, and a bit curvy. Tashigi wears long pants, and shirts that allow her to move easily. She wears her leaf headband around her right arm. Tashigi likes wearing colorful clothing, but they can’t be too colorful. She enjoys wearing dark blues for her pants, and yellow, gold, red, or purple for her shirts. She normally* wears a dark blue jacket, with white lining, and a red interior. She also normally* wears her Flak Jacket. Tashigi also wears black clogs. Hair Color: Dark blue, sometimes looks black. Body Type: Tashigi is tall, and slender, with long limbs and fingers. She has a long neck, and a heart-shaped face. Tashigi somewhat has the build of a crane… a very clumsy crane. Despite Tashigi’s graceful appearance, she is rather clumsy, rarely being graceful. Personality: Tashigi, while extremely good-natured, is quite clumsy, which normally gets on the nerves of her superiors. She is also rather forgetful—many a time she has forgotten her Flak Jacket, or her leaf headband. She is quite good at her ninja skills though, and will never abandon a teammate. Tashigi is very passionate about swords, and she is quite good at sword fighting. If she sees a great sword, she will most likely put off everything she is doing to examine and praise it. This display of non-responsibility annoys her superiors even more then her clumsiness. Tashigi is very hardworking and disciplined though. She can take a hit, or several, and will sacrifice an arm or a leg, literally, to make sure that she and her teammates get away safely from a battle they can’t win. Many a time she has broken her arm to allow her teammates a safe escape. Tashigi gets embarrassed when people talk about… private stuff. She also doesn’t like being carried, as it wounds her pride. Her parents embarrass her easily. She hates having her family “goggle” over her. Tashigi is overall nice, with some flaws. She gets easily embarrassed, especially when her parents are involved. She is rather clumsy, but can be quite graceful sometimes. Tashigi is also very loyal. Description: Magen • Kasegui no Jutsu is a Genjutsu technique unique to the Uchiha bloodline Sharingan holders. After activating their Sharingan, the clan member will look into the eyes of their target to bind them with a paralyzing illusion. This illusion takes the form of giant spikes, which stake them in place and restrict their movement. A powerful enough ninja will be able to fight the bind to give them an opportunity to gain freedom. Description: Ayatsuito no Jutsu is a Ninjutsu technique utilizing wire. This string can be used in grappling, or as a method to tie down and restrict the movement of an opponent. The Uchiha clan also utilizes the wire in their Sharingan Soufuusha Sannotachi technique. The wire allows the clan member to pin down an opponent, and then unleash a torrent of fire upon them. Description: Suiton • Baku Suishouha is a Ninjutsu technique utilizing the Water Element. After forming the needed hand seals, the user will expel water from his or her gullet. This will then expand into a large volume of water. Description: Bunshin no Jutsu is a Ninjutsu technique, which every ninja learns at the Ninja Academy. The Bunshin technique creates a copy of the ninja without substance. The copy resembles the ninja in every way. This clone can function as a distraction or as means to confuse one's opponent. As soon the Bunshin gets attacked or comes into contact with an opponent, it will disperse. Description: Dai Endan is a Ninjutsu technique utilizing the Fire element. The user will first gather the fire into his or her mouth and then spew a giant breath of fire constantly at his opponent. Description: Doton • Dochuu Senkou is a Ninjutsu technique utilizing the Earth Element. After forming the needed hand seals, the user can sink below ground and quickly travel through the earth. Description: Katon • Endan is a Ninjutsu technique utilizing the Fire Element. This jutsu allows the user to emit a jet of fire from his or her mouth. Description: Katon • Goukakyuu no Jutsu is a Ninjutsu technique utilizing the Fire Element. The ninja does the necessary hand seals, draws chakra from their mouth into their chest and them immediately exhales it. They then blow a stream of fire, which erupts into a large sphere of flames. To better manage the flames the ninja will bring their hand to their mouth to control it. Description: Katon • Gouryuuka no Jutsu is a Ninjutsu technique utilizing the Fire Element. After forming the needed hand seals, the ninja will expel dragonhead fireballs at their opponent. These powerful fireballs can punch through concrete. Description: Katon • Haisekishou is a Ninjutsu technique utilizing the Fire Element. After forming the needed hand seals, the user will expel an ash from his or her mouth. This large cloud begins to envelope his foe and when the user clicks his or her teeth, the cloud will ignite in an explosion. Description: Suiton • Haran Banshou is a Ninjutsu technique utilizing the Water Element. After forming the needed hand seals, the ninja will create a waterfall to slam into her opponent. Description: Katon Ninpou • Hibashiri is a Ninjutsu technique utilizing the Fire Element. The ninja will generate jets of fire, which race towards his or her target and surround it. This fire can be made more powerful with the introduction of wind from a wind element attack. You can also spin and generate a rotating ring of fire, which you can then launch towards your target. Description: Katon • Housenka no Jutsu is a Ninjutsu technique utilizing the Fire Element. The ninja does the necessary hand seals and then emits a series of small fireballs. The ninja can also hurl a projectile, which is covered in these same flames. To the opponent the attack appears to be only the balls of flame, they do not see the hidden threat within the flames. Meaning that even if the flames are put out, the projectiles still converge on the target. The flames can be used to cover different projectiles like shuriken or kunai. Description: age Bunshin is a Jounin level Ninjutsu technique. The normal Bunshin technique creates a copy of the ninja that lacks any substance. The Kage Bunshin distributes the ninja's chakra evenly among the clones and creates a real copy with form and substance. The clone itself can also utilize any jutsu the original ninja knows. When the clone finally disperses, any new knowledge it has gained is passed back to the original ninja and any additional clones. This makes Kage Bunshin an excellent training method if the ninja has the chakra capacity and stamina to maintain the Kage Bunshins for an extended period of time. This allows the ninja to essentially reduce the time it takes to train and learn with each clone added. This is especially true when used with Tajuu Kage Bunshin. Description: Kai is a Ninjutsu technique, which allows the ninja to avoid the effects of a Genjutsu illusion. After forming the needed hand seals, the Genjutsu technique will not affect the ninja. The ninja can also use the technique on another individual who was unable to avoid the attack. After forming the needed hand seals, the ninja touches the one affected to end the affect of the spell. Description: Kakuremino no Jutsu is a very basic Ninjutsu technique. The ninja uses a camouflage cloth to cloak them in the background. Description: Kawarimi no Jutsu is a basic Ninjutsu technique. When in danger the ninja will quickly substitute themselves with another nearby object. This can be a block of wood or even another person. This allows the ninja to quickly flee and hide while the original object takes the brunt of their opponents attack. Description: Kekkai Houjin is a high-level Ninjutsu trap technique. Arrays of explosive markers are jointly placed around the boundary of an area. If any opponent walks through the boundary, the seals will activate and explode. Description: Suiton • Kokuun no Jutsu is a Ninjutsu technique which utilizes the Water Element. After forming the necessary hand seals, a black mist will emit from the user’s body and rise into the sky. Black clouds will form, releasing a flammable rain of oil onto the ninja’s targets. Description: A powerful jutsu, Ninpo Kuchiyose allows a ninja to summon animals, objects and the dead to fight on their behalf. The ninja normally signs a blood contract with the animal species, which allows him to summon different size and skill levels of creature. Tashigi can summon Cranes. Description: Mizu Bunshin no Jutsu is a Ninjutsu technique that utilizes water to create a Bunshin clone. Unlike a normal Bunshin, the Mizu Bunshin has the ability to interact more with the environment due to it having physical substance. This allows the clone to carry out limited attacks on its target. The range of the clone is limited however, it cannot travel very far from the original body. If the Mizu Bunshin is injured, the clone will usually revert back into its natural water state. Description: Sharingan Soufuusha Sannotachi is a Ninjutsu technique utilized by the Uchiha clan. Using the developed vision of the Sharingan eye, the clan member hurls three Windmill Shuriken, which have wire attached. While in the air the clan member can manipulate wire to make the blades circle the target, which results in the attached wire binding them. Description: Tajuu Kage Bunshin no Jutsu is an advanced variation of the Kage Bunshin Ninjutsu technique, which was banned by the First Hokage. This has not stopped many Jounin-level ninja from learning the technique however. Instead of creating several clones, several hundred clones are created. Like normal Kage Bunshin a ninja's chakra is split evenly among the clones when created. The clones themselves can utilize any jutsu the original ninja knows. When the clones finally disperse, any new knowledge they have gained is passed back to the original ninja and to any additional clones. This makes Tajuu Kage Bunshin an excellent training method if the ninja has the chakra capacity and stamina to maintain the Kage Bunshins for an extended period of time. This allows the ninja to essentially reduce the time it takes to train and learn with each clone added. With the great number of clones in Tajuu Kage Bunshin, the ninja can effectively learn in a few weeks with a hundred clones what would take one ninja numerous years. Description: This is a technique Tashigi uses when she is in “Crane” state. She enhances her two swords with Fire Chakra, which give them the appearance of burning swords. The swords power is then enhanced. Description: This technique is only available to Tashigi. Tashigi summons fire chakra from her chakra center, and then draws upon the Kyuubi chakra. The follow result puts her in “Crane State.” I this state her strength is magnified by 5, and her chakra increased so that it is double of her normal chakra. Her eyes become those of a crane’s – red with black slits – Which is also a special form of Sharingan. Her hair becomes white, with a single red “crown” on it. Like a crane’s. Her skin and clothes also become the coloring of a Crane’s body. Her body also seems to be engulfed in transparent flames. This state is also activated when Tashigi is damaged mentally – For instance, seeing a friend being beaten to death, etc. Description: This is a technique Tashigi uses in Crane State. Her eyes enter an enhanced Sharingan state. This allows Tashigi to repel Genjutsu. Description: Dynamic Action is a taijutsu technique. The ninja will launch himself, or herself, at his or her opponent and then use a barrage of strikes and kicks. Description: Konoha Kage Buyou is a Taijutsu technique that is used to position a ninja's opponent into a vulnerable aerial position. The ninja will first quickly appear below their opponent, then with a switch upper kick they will launch their target into the air. The ninja will then jump into the air to "shadow" the target with the targets back to their chest. Rock Lee uses the Konoha Kage Bayou to place his opponent into a position to do his Omote Renge technique. Uchiha Sasuke would go on to copy this move to set up his opponent for his Shishi Rendan technique. Description: Omote Renge is a Taijutsu technique, which was forbidden due to the strain it puts on a ninja's body. By opening the first of the Celestial Gates, the Initial Gate, the ninja is able to release the restraints in the brain and push the body farther. With a quick dash the ninja is suddenly below his or her target and a quick upward kick sends his or her opponent skyward. The ninja then jumps into the air to place his chest to the back of his opponent. He then wraps his arms around his opponent to prevent escape. As the pair begins their fall back to earth, the ninja begins to spin downwards at a high rate of speed, driving his or her opponent head first into the ground. At the last moment the ninja releases the bandages and jumps to the clear. Though the technique injures his or her opponent, it also takes its toll on the ninja’s body as well. Description: Ura Renge is a Taijutsu technique, which was forbidden due to the strain it puts on a ninja's body. To complete the technique, the ninja has to open the first five of the Celestial Gates. By opening the first of the Celestial Gates, the Initial Gate, the ninja is able to release the restraints in the brain and push the body farther. By opening the second gate, the Heal Gate, the ninja is able to temporarily increase his stamina. With the opening of the Third Gate, the Life Gate, the ninja's body turns a shade of red and he or she is able to perform the Ura Renge. To utilize the Ura Renge, the ninja will open the first three Celestial Gates. Then, like Omote Renge, he or she quickly moves beneath the target and kicks them upwards. While in the air the ninja will then pummel his or her opponent throughout the air with high-speed Taijutsu attacks to weaken them. Then at the apex of his or her attack he or she will strike his or her opponent in the chest towards the ground. He or she then does a hard downward palm strike to his or her opponent’s chest causing them to crash into the ground with massive damage. Clan Traits: Select few members of the Uchiha clan possess the ability to activate the bloodline Sharingan eye. 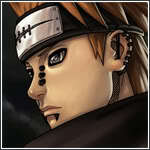 This doujutsu (eye skill) gives one the ability to read Genjutsu, Taijutsu and Ninjutsu and then defeat it. As such, the clan member can view a technique being performed and see the tricks and movements required to be able to complete it. However the clan member can not copy techniques which are unique to another bloodline. It also gives one the ability to cast jutsu techniques only possible by possessing the eye. Tashigi’s Sharingan contains 3 Tomoe, and her Magekyou looks the same as Uchiha Itachi’s. Three tomoe also grants the Uchiha the ability to do Genjutsu and hypnosis after locking eyes with an enemy. This can be used to cause their opponent to do an attack of the Uchiha's choosing. This hypnosis can also be used as a Genjutsu counter, which is the ability to turn a Genjutsu spell back upon the original caster without the requirement of forming any hand seals. Special Abilities/Characteristics: Kusho is Tashigi’s sword of choice. It is a Katana and perfectly balanced. It is extremely well made. Origin: Tashigi resieved Kusho in a sword shop as a Chuunin. She was currently on a mission, but her team had time to kill before they had to meet up with another ninja. She was passing the shop, saw the sword, and bought it. Unfortunatly, she was thrown out of the shop after the shopkeeper threw her the sword, and in catching it she stumbled into a rack of other sword. It quickly became her weapon of choice though. Special Abilities/Characteristics: When going into battle, a ninja may store a small combustible ember in their mouth. The ember must be bitten to be activated. The ninja can then spit the ember at a combustible substance to help ignite it. Origin: Didn’t make it. Is not custom. Special Abilities/Characteristics: The exploding note is a piece of parchment paper which has script on it that serves to faciltate its explosive properties. The ninja can attach the note to another object such as a kunai or log. When the note is set it begins a slow burn which results in a large explosion. Special Abilities/Characteristics: When the soldier pill is swallowed, it allows the ninja to fight for several days without rest. The pill is full of proteins and a special stimulant that momentarily increases the ninja's chakra. Special Abilities/Characteristics: This throwing knife is one of the common weapons of a ninja. It is often kept in a holster on the leg in a pouch attached to the belt. The Kunai can be used in conjunction with explosive tags and other weapons to form deadly combos. Special Abilities/Characteristics: This weapon is primarily used during escape, numerous makibishi are thrown on the ground and enemy soldiers will have a difficult time pursuing because the spiked metal can penetrate the sole of the shoe wear. Special Abilities/Characteristics: The senbon was first used by doctors in acupuncture, it was then adopted by ninja and Hunter-nins to hit points on the body to cause death, deaden limbs or cause their target to fall unconscious. Special Abilities/Characteristics: Another common weapon, the shuriken is often kept in a holster on the leg or in a pouch attached to the belt. Special Abilities/Characteristics: In its folded state, all four arms of the shuriken are folded together. When full unfolded the large shuriken can be thrown through the air causing great damage. Natural Abilities: The basic Chuunin and Jounin uniform of Hidden Leaf utilizes all the common features of the ninja outfit. It has front scroll patches on right and left breast and has a zipper up the middle. The back also bears the red swirl insignia. Natural Abilities: When the ninja wants to avoid putting themself directly in the possible line of attack, they can use the mirror to peak around corners to ensure the path is clear. Natural Abilities: A file is normally hidden within the clothing of the ninja, if captured, the file can be withdrawn from its secret location to file and cut through metal. Natural Abilities: The short range radio is capable of keeping ninja in contact across several miles. The radio can accept multiple frequencies and is activated to talk by pushing a button on the neck attachment. History: Ages 0-3: Tashigi was born in the city of Konohagakure. She was born into the Uchiha clan. After Tashigi was born, the 9-tailed Crane, Kyuubi, was transplanted into her. Tashigi lived the first 3 years of her life in Konohagakure. She was not shunned by the villagers, but not exactly loved by them either. She began to learn the Sharingan at age 3, but could not do it. She mianly learned the properties of it. Ages 4-7: In the next 3 years of her life, Tashigi grew up in the academy. She went there for her lessons, and back home afterwards. She continued learning the properties of the Sharingan. In the academy she learned basic jutsu as well. At age 6 she learned the Sharingan, even though her eye only had one tomoe. She was a great student of the academy as well, and graduated from the academy at age 7. Ages 8-11: When Tashigi joined her first squad, she was the youngest member of it. Her teammates shunned her because of her age – 8 – and wouldn’t let her fight as much. Tashigi hated this, and tried to prove her worth by spending all of her energy on the Sharingan. At age 9 her eye had two tomoes. On next mission her team went on after she obtained two tomoe, she used the eye. The Sharingan helped them complete the mission, but the teammates still didn’t care about her. Tashigi began learning more and more jutsu. Including Fire Jutsu, which soon became her speciality. Ages 12-14: On the next mission the went on, Tashigi’s teammates and squad leader were dispatched. Tashigi prominently used fireball jutsu, dispatching one opponent. The other moved in for the kill, using waterfall jutsu. Tashigi managed to dodge, while activating her Sharingan. She copied waterfall jutsu, dispatching the other opponent. She then freed her teammates, before collapsing from exaustion. After this, her teammates finally gave her some respect. When Tashigi was still 12, she team was entered in the Chunin exams. In the last exam, Tashigi was battling a super-tough opponent. It looked like she would get down, when she activated her Sharingan eye. Amazingly, in the middle of the battle, her Sharingan became so exersised that her third tomoe appeared! Using her new Sharingan eye, she quickly won the battle using Bunshin no Jutsu, and Fire Jutsu. Tashigi was the only member of her team to become a chunin. Tashigi then began training even harder, being able to use fire and water jutsu proficiently at age 14. Age 15: At age 15, she was promoted to Jounin. After this, she left her squad for private training under her father. This was to train her in special Uchiha jutsu. Tashigi trained hard, soon mastering different types of jutsu. During this training, she learned Kage Bushin no Jutsu. She also began training how to harness her Bijuu’s chakra profiently. Age 16: At age 16, Tashigi was officially a prominent Jounin. 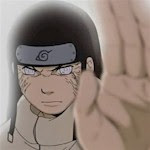 She was brilliant in her jutsu, and fighting. She could control Kyuuji’s chakra as well. It was then when she made up her 3 Fire Crane types. Tashigi began training in a martial arts called Konbe. It followed the moves of the crane, harnessing them to attack. This was perfect for her, because of Kyuuji, and she quickly mastered it. RP Sample: What Lena would see would be a calm, and cool as water waterbender. The waterbender in question was the waterbending master, Tenshi. Tenshi’s blue hair and clothing gave her the appearance of water itself, and her personality helped a lot. She was calm, cool, and collected. Tenshi stepped into the arena, removing her cloak, and letting it drift gently onto a bench. She picked up a glass of water, and downed it, then drank several more. Upon finishing her last glass, she glanced towards the outside of the arena, to see if Etzin has come. He had always given her unknown strength when she battled. She didn’t see him yet, and she wasn’t sure he was coming. She shrugged it off, and continued into the middle of the arena. In the middle, she stretched a bit, and refreshed her bending quickly by shooting water jets, then pulling them back into her fists. She breathed slowly, then quickly. This was a breathing exercise. Tenshi then walked back to the cooler, and refilled her water pouches until they were completely full. Tenshi then looked around for her opponent. Spotting none that seemed interesting, and that would put up a nice fight, she walked towards a bench. She saw down, and refilled her glass with water. She drank that glass too, then leaned her head back, and savored the taste. She gazed at the clouds, watching them move back and forth. She smiled, and refilled her glass. Keeping her head tilted back, she drank that one, letting the water run down her chin and neck, and down her shirt a bit. She then placed the glass down, and breathed in the fresh air of the outdoors. Tenshi tilted her head back into its normal position, and looked around the arena once more, looking for an opponent. She finally saw someone that looked mildly interesting: A girl, with long purple hair. From the looks of it, she was a light bender.. It was strange to see a light bender in the dark nation. This would make an interesting fight, if the light bender agreed to fight her. Standing up, Tenshi started walking towards the light bender. Reaching her, she stated the typical battle recruitment statement to her: “Would you like to battle?” As well as a bit of modifications, “It’s been a long time since I battled a light bender.” She said all of this coolly, and calmly, to give the impression that she wasn’t that interested in the battle. But slowly she grew up the water armor over her skin, underneath her clothing.